Graeme Cherry, a supplier of Komatsu equipment in South Africa’s apple-growing region of Grabouw, said improvements to agricultural production in the region are largely down to supply of the Japanese machinery. He said it’s thanks to companies like Komatsu, who are investing in South Africa, the region is able to keep up with international agricultural trends. 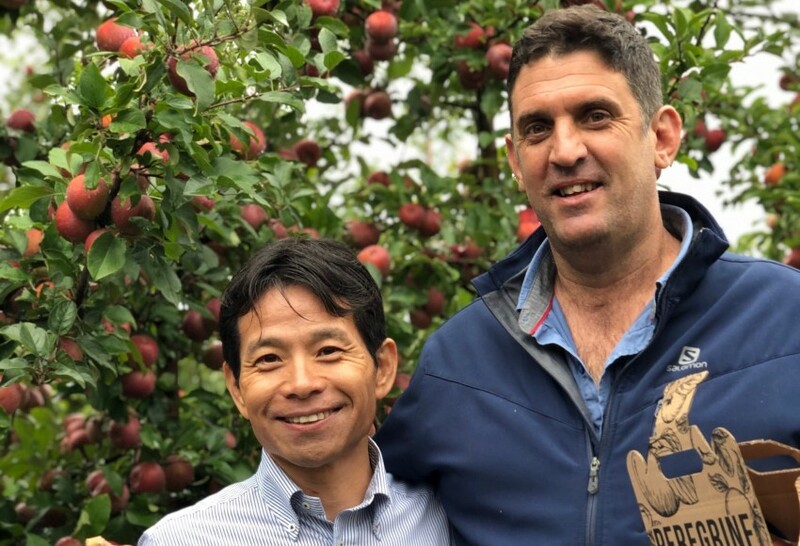 Tru-Cape, a local apple grower of the Japanese Fuji variety, said over the last two years it has sold around half a million cartons of South African-grown Fuji apples. Though the apples can’t be exported to Japan due to phytosanitary constraints, they enjoy a healthy market domestically. Apples and pears make up 70 per cent of Tru-Cape’s business, according to grower James Downes, who holds the current Two-a-Day’s Chairman’s Award for the highest income per hectare for his property. To achieve this, he puts focus on successful soil preparation for the best quality fruit output. The Komatsu equipment Downes uses is supplied by Cherry from his local business, Cherry Diggers. “Ten years ago you never saw an excavator in open land preparing a new orchard. Now it’s the norm,” said Downes. Cherry said the earthworks and soil preparation requirements for modern orchards are now all possible thanks to equipment supplied from Komatsu.